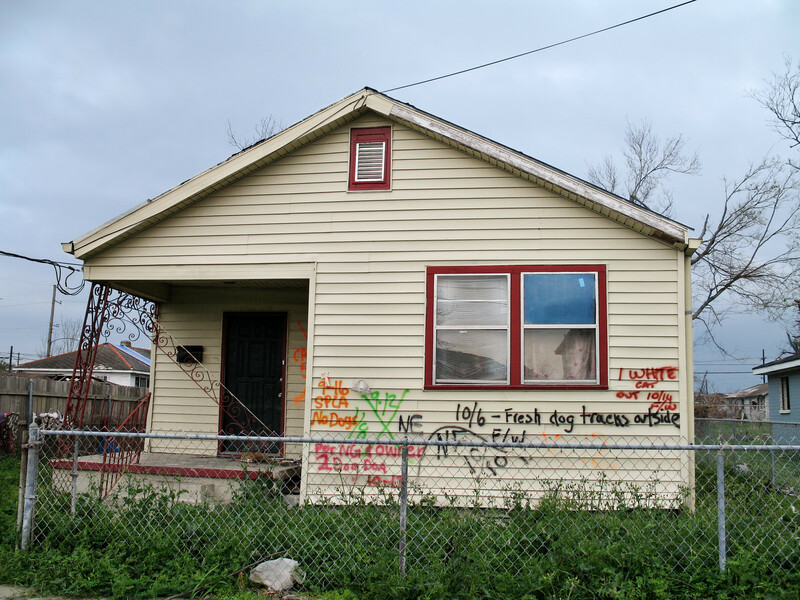 It’s been nine years since Hurricane Katrina devastated New Orleans, Louisiana, yet the clean-up continues. There are residents who are still not back in their homes which were severely damaged by the massive storm. Twenty-four students from Penn State Behrend’s Reality Check and four advisors are leaving Erie on March 8, 2014, to spend spring break restoring the homes and hearts of communities affected by Hurricane Katrina in New Orleans. We will be working with United Saints Recovery Project— a volunteer-based nonprofit organization that has a mission to assist communities that have suffered damage from natural disasters, helping residents return home, improve their quality of life and strengthen their communities. Students will help in a variety of ways: gutting damaged homes, roofing, drywall installation, mudding, sanding, painting, flooring, yard work, and landscaping. When the work day is done, we will also be taking advantage of the local culture. We are sure we won’t run out of options in New Orleans! We are also hoping that we will get a better of understanding of how far they have come since Hurricane Katrina hit in 2005. We will be living in apartment style living with bunk beds and two showers to share. We will not be the only school volunteering in New Orleans for our spring break. Along with us will be Cleveland Institute of Art, St. Theresa’s Valparaiso University, Virginia Tech, and Wake Forest. While we will be a little spoiled by their chef for breakfast and dinner, we will be responsible for helping with clean-up after meals and making our own lunches to take to our work site each day. The apartments are just blocks away from Bourbon Street, the French Quarter, and all things New Orleans. Our work will begin first thing in the morning on March 10; our last day of work will be Thursday and we’ll return home on Friday, March 14. We couldn’t be more excited for journey that lies ahead and to see what New Orleans has to offer, but more importantly what we can do to make a difference! We invite you to join us. Follow us on this Penn State Behrend Gives Back blog where we will post periodic updates. I know all you guys will do great. I can’t be more proud of all you guys. You rock!!!!!!!! You are off to a great start ! We are very proud of what you all are accomplishing on your Spring Break! Good luck to you all – enjoy and be safe.